Hey! Remember when Becky was in a play? Well, she is again! 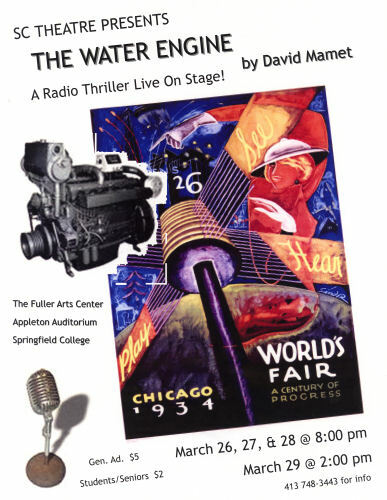 The Water Engine, by David Mamet, is coming to Springfield College. It is interesting in that it was originally written for radio and also it’s a David Mamet work that isn’t just a long string of profanity. The Water Engine is set in 1934. Its central character, Charles Lang, is a young amateur inventor, who designs an engine that runs on water. He plans to patent it, make a fortune, and live happily ever after with his sister Rita Lang, but his dream begins to unravel when he finds himself up against two hoodlum-like attorneys, Morton Gross and Lawrence Oberman. Becky is not playing the sister, Rita Citation Needed (née Lang), she is playing a few roles including Mrs. Varec and the Chain Letter. Guys, do not break the chain! As you can see, admission is a mere pittance, so if you’re around, why not come check it out? 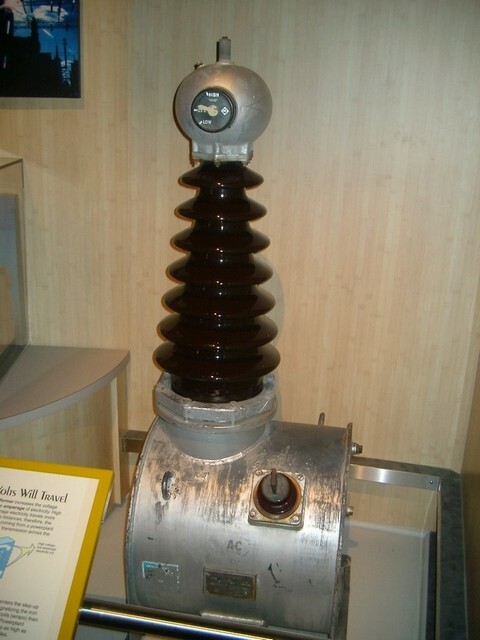 This entry was posted in Misc and tagged becky, drama, water_engine. Bookmark the permalink. Is the Chain Letter a supervillain? What powers does she exhibit? How about a streaming webcast for us non-New Englanders?